These bite-size morsels will not disappoint. They're a popular street food in Guatemala, especially during festivals. Buttery and filled with a creamy, flavoured milk custard and baked to a flakey perfection - yum! Mix hot water and achiote. Set aside to cool. In a separate bowl, sift in flour, sugar, baking powder, baking soda, and salt. And in cut butter and toss to coat. Mix and press with fingers until the butter is broken into fine pieces. Add the egg, vanilla, and achiote water. Mix, cover, and refrigerate for 30 minutes. In a sauce pot, bring milk, zest, and cinnamon stick to a simmer (do not boil). After 5-10 minutes remove cinnamon and zest and reduce heat to low. 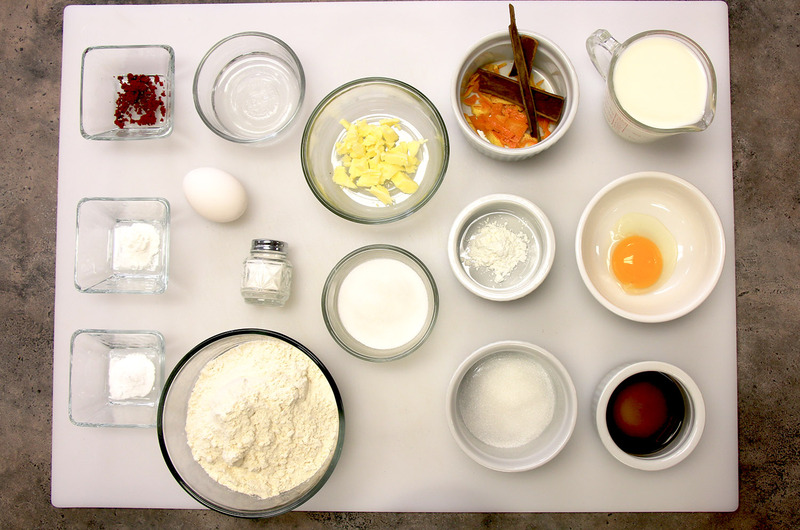 In a separate bowl, mix egg yolk, sugar, cornstarch, vanilla, and salt. Then add a few spoons of the warm milk , stirring constantly, to make a paste. and whisk until thickens into a pudding. Allow to cool. Preheat oven to 350F. Roll dough on a floured surface and cut into 4 inch circles. Collect dough scraps and repeat until all dough is used. Make about 20-24 circles. Lay out dough circles. Drop onto centre 1 tbs of filling. Fold dough in half and pinch shut using the times of a fork. 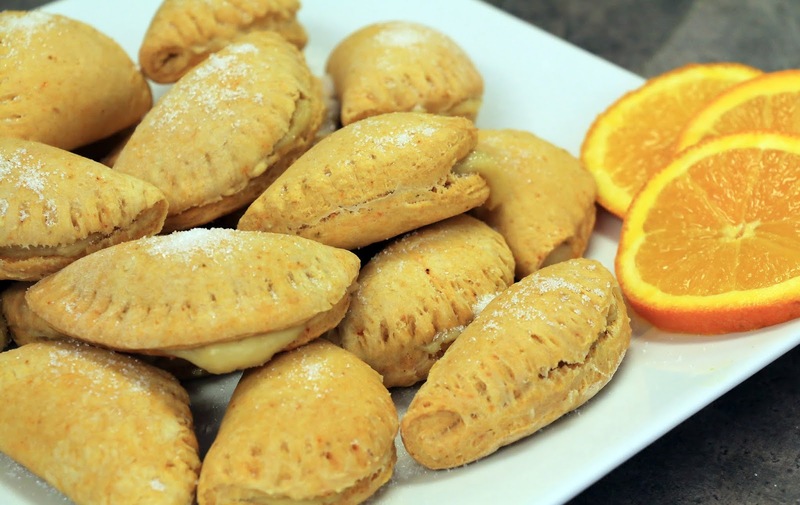 Place sealed empanadas on a cookie sheet and bake for 15-20 minutes. Remove from the oven, shake on sugar, and serve warm!